Say bye to copy-paste : do everything by pressing a button ! --- You are ---A companyAn agencyA freelanceA particular By submitting this form, I agree that the information entered will be exploited as part of the demonstration application and the commercial relationship that may result. Easy Catalog is a powerful tool and has become essential to our business. All documents (catalogs, our mailings, POS advertising… ) are made through EasyCatalog from our database. We create our catalogs twice faster. Interactiv’ Publisher was the perfect tool to layout all of our data, we created two versions of a catalog of more than 800 pages each: French/German/Dutch and English/Spanish/Italian. Interactiv’ Publisher helped us throughout the project, to develop the right tools and the most efficient data structure. Easy Catalog allowed us to win on every fronts. Financially speaking, in less than one year we absorbed software and trainings costs. The catalog was released two months earlier and our teams mastered time management and creation process! Import data from different sources in InDesign : XLS, CSV, XML , ODBC (MySQL , Oracle, FileMaker … ). No more Copy / Paste! Separate the content (data) of the form (layout). Start working on your layout even before all the data is indicated (images or text). Reduce by 30% the time of creation of your documents during the first year. And up to 50% thereafter! One click is enough to start the assembly of hundreds of pages. Follow your communication agencies more effectively. Fewer iterations and data corrections internally. Even without in-house graphic designers, Interactiv’ Publisher is made for you! With Interactiv’ Publisher, multilingual translation and index generation becomes very easy. WHY WOULD YOU AUTOMISE YOUR LAYOUT ? Interactiv’ Publisher supports all data sources: From a basic Excel sheet, to a MySQL database on Oracle, PostgreSQL, FileMaker until your specific database. If it’s necessary we can also develop a ODBC connector. If you want it, it will be possible to refresh your database from InDesign. 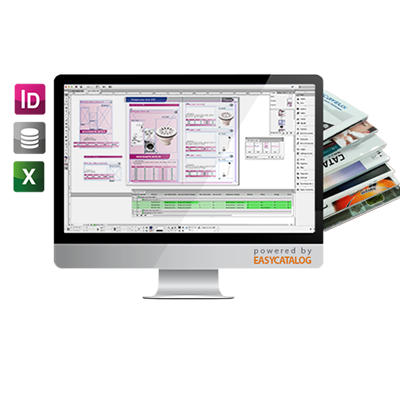 Interactiv’ Publisher (powered by EasyCatalog) makes possible data importation from any database straight into InDesign (every version, even CS6). 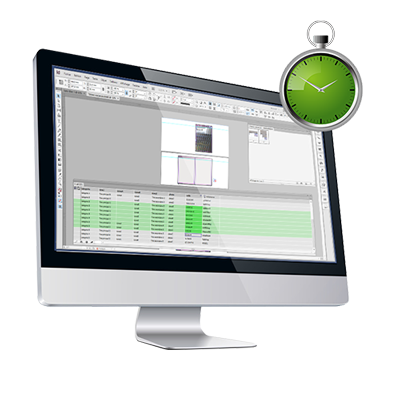 Completely integrated to InDesign, this official plug-in helps to save time in realization and layout of catalogs, prices, technical and commercial/marketing documents. It’s working on Windows and macOS. Quick profitability: from the 2nd year! The cost of our solution will be amortized really quick. 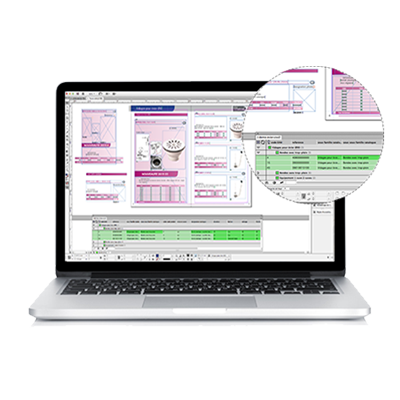 Our clients realize that for products catalogs of over hundreds of pages, as much as small brochures, Interactiv’ Publisher helps to save a lot of time. In conception, but also in data importation; as in rereading and automatic refresh of their documents in few clicks.